A mall kiosk is a business option to consider if you are unsure of where to open a store or you don’t have the funds to open a large store. Before you begin stocking your kiosk, you need to think about what you’re going to sell and the design that you’re going to feature. 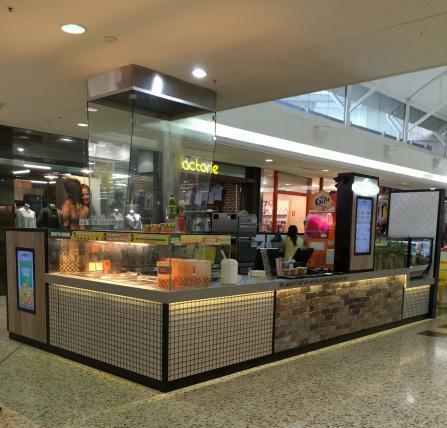 When you think about a food court kiosk, keep in mind that customers want convenience. They are also looking for prices that are affordable instead of those that are higher than what they could get at a restaurant or at a store in the mall. Pretzels are a good idea to consider, and you can offer a variety of flavors. When you give the pretzels to customers, try to have them in a container that is easy to hold so that customers aren’t inconvenienced while they are holding their bags and walking through the mall. Candy is an option to consider as well. You could have containers of different kinds of candy for customers to get on their own or a list of candies that they can purchase. If you offer candy that is already packaged, then consider selling different sizes and a few packages that have a combination of a few types of candy instead of only one or two kinds. Coffee, tea, and juice are ideas to consider if you don’t want to prepare foods. However, you need to think outside of the box when you serve these beverages because people usually don’t want a simple drink. Offer flavors that aren’t often thought about, such as peppermint, nutmeg, or cinnamon. When customers know that they can get a drink with a flavor that other stores usually don’t offer, then they will be more likely to come back to your kiosk in the future, increasing your business in the mall.